The last time I ate at the Cheesecake Factory was in Hawaii back in 2008. Now I know what you’re thinking, why on earth would I eat there while vacationing in a fabulous place like Hawaii but I had always wanted to go but the worst part was that we had ordered so much food that we had no room for cheesecake! Well, four years later I finally got to eat my cheesecake! After a full day of driving and shopping, my girlfriends and I finally put our feet up and indulged in some good tasting food and dessert! 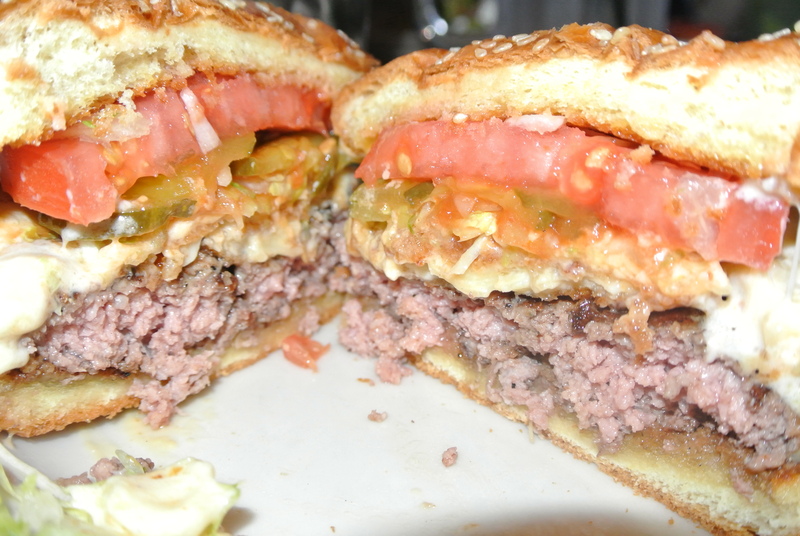 My meal, the classic hamburger with a topping of mac & cheese – that’s right, mac & cheese! 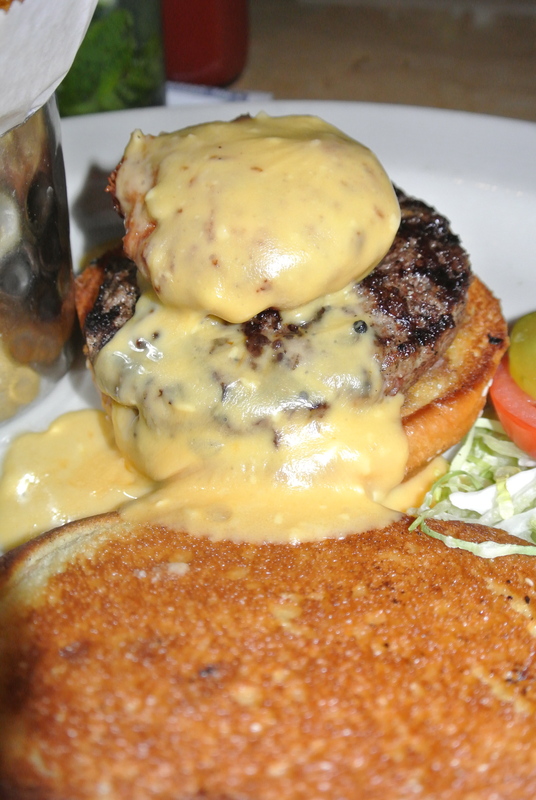 The mac & cheese was fried and placed on top of the burger. To be honest, it was just too much cheese for me and I don’t think I would ever order it again. However, the cheesecake was delicious! I love dense cheesecake and this one stood up to the challenge – it was their Reese’s peanut butter chocolate cake cheesecake. There were alternating layers of chocolate cake, cheesecake with caramel and peanut layers. Definitely worth the wait! 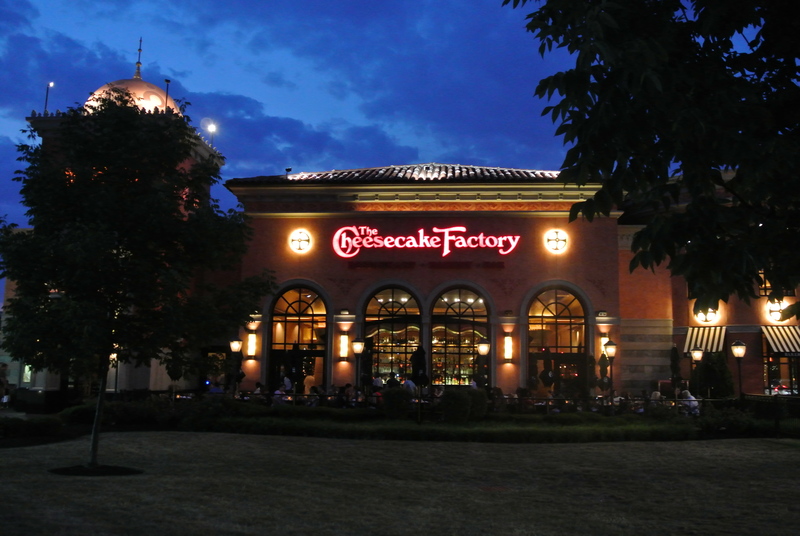 Cheesecake Factory at Legacy Village. 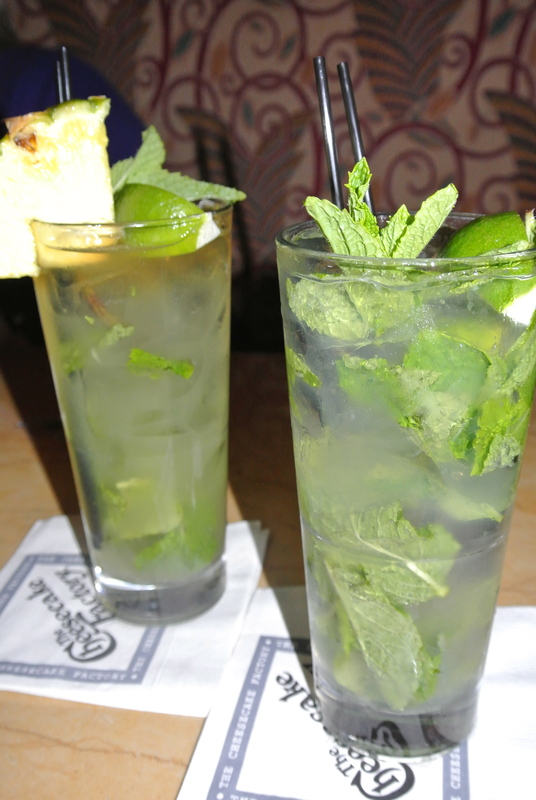 Our mojito drinks – original and pineapple! So refreshing! My mac & cheese burger – yes, that’s the deep fried mac & cheese ball with more cheese sauce poured over top! Mac & cheese burger with lettuce and tomato! 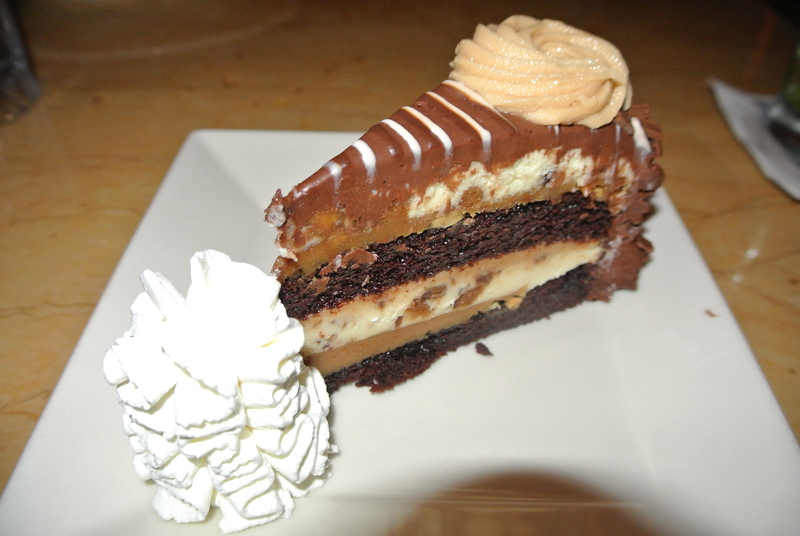 My dessert – Reese’s peanut butter chocolate cake cheesecake! 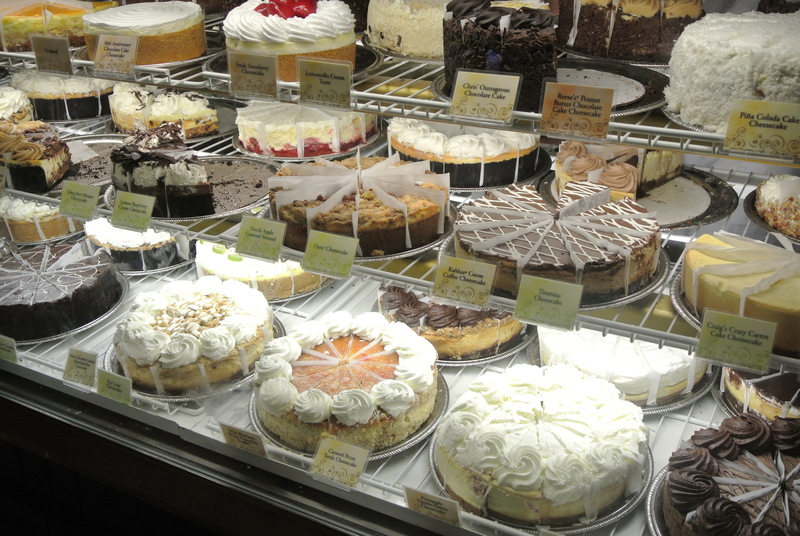 Assortment of cheesecakes! You can take home a whole cake or by piece – this would be dangerous if I lived nearby! I would want to try them all!